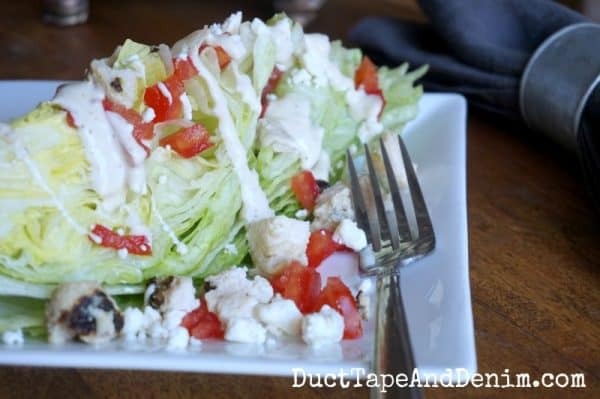 Chicken Ranch Wedge Salad, Bring Back a Classic Salad! By this time of summer I’ve gone through my go-to list of salads and needed to come up with something new. 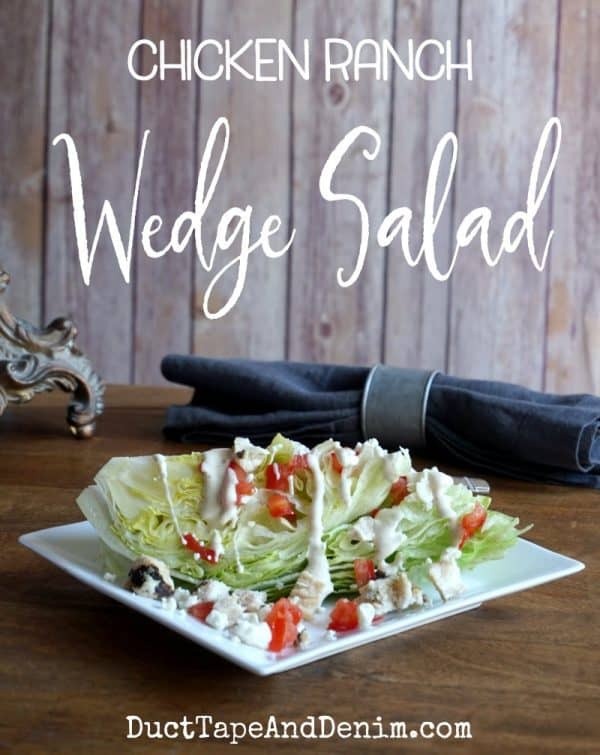 I hadn’t had a wedge salad in a really long time (probably since we lived in San Antonio and would go to the big steak house where we threw our peanut shells on the floor!) so I thought I’d try a chicken ranch wedge salad. Cut the head of lettuce into four equal quarters. Cut through the stem so the wedge doesn’t fall apart. Drizzle ranch dressing. 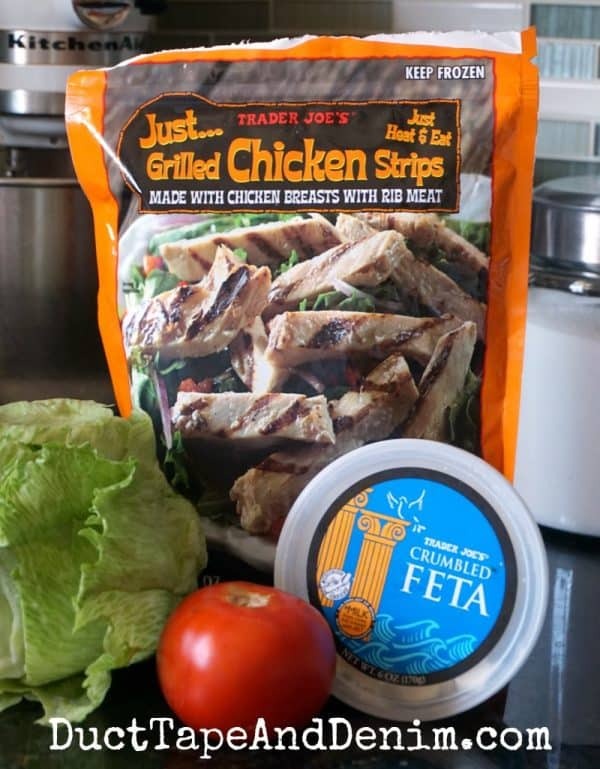 Sprinkle chopped chicken, tomatoes and feta cheese over the top. This recipe was refreshing, didn’t heat up my kitchen, and actually was one of the most filling salads I’ve made this summer. Will definitely stay on my list of summer salads! I also just got this galvanized napkin ring and gray linen napkin! Makes a simple salad seem a little more special. If you’d like more salad ideas take a look at the other salads I’ve made and blogged about this summer. 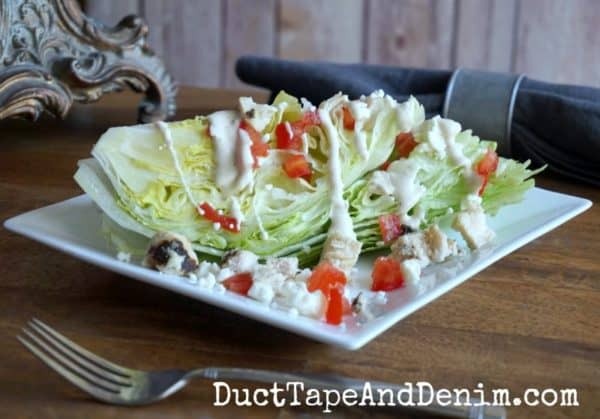 Have you ever tried a wedge salad? Leave a comment and let me know. First published August 27, 2014. We link to these blog parties. This looks really good, thanks for sharing this week. Hope you can stop by again. That looks so good! Thanks for sharing! I haven’t made wedge salad in a long time. thanks for the reminder as I really usually enjoy it. Yours looks absolutely delicious. I never heard and tried this type of salad. it sounds good and looks amazing. I will definitely make this next weekend.